Jean Dujardin (French pronunciation: [ʒɑ̃ dy.ʒaʁ.dɛ̃] ( listen); born 19 June 1972) is a French actor, comedian, humorist and television director. He began his career as a stand-up comedian in Paris before guest starring in comedic television programmes and films. He first came to prominence with the cult TV series Un gars, une fille, in which he starred alongside his lover Alexandra Lamy, before gaining success in film with movies such as Brice de Nice, Michel Hazanavicius's OSS 117: Cairo, Nest of Spies and its sequel OSS 117: Lost in Rio, as well as 99 Francs. Dujardin garnered international fame and widespread acclaim with his performance of George Valentin in the 2011 award-winning silent movie The Artist. The role won him numerous awards, including the Academy Award for Best Actor (the first for a French actor), the Golden Globe Award for Best Actor – Motion Picture Musical or Comedy, the BAFTA Award for Best Actor in a Leading Role, the Screen Actors Guild Award for Outstanding Performance by a Male Actor in a Leading Role and the Cannes Film Festival Best Actor. He later appeared in Martin Scorsese's 2013 black comedy The Wolf of Wall Street and George Clooney's 2014 historical drama, The Monuments Men. Jean Dujardin was born on 19 June 1972 and raised in Rueil-Malmaison (Hauts-de-Seine, Île-de-France region), a commune in the western suburbs of Paris, France. After attending high school, he went to work for the construction company of his father, Jacques Dujardin. Dujardin began contemplating a career in acting while serving his mandatory military service a few years later. Dujardin began his acting career performing a one-man show he wrote in various bars and cabarets in Paris. He first gained attention when he appeared on the French talent show Graines de star in 1996 as part of the comedy group Nous Ç Nous, which was formed by members of the Carré blanc theater. From 1999 to 2003, Dujardin starred in the France production of the originally Canadian comedy series Un gars, une fille, alongside his future wife Alexandra Lamy, before transitioning to a career in film. The TV series charted the path of a relationship; each episode was less than ten minutes long. In 2005, he portrayed the titular surfer in the popular comedic film Brice de Nice and performed on its accompanying soundtrack. In 2006, Dujardin starred as racist, sexist secret agent Hubert Bonisseur de La Bath in the comedy OSS 117: Cairo, Nest of Spies, a role which earned him an Etoile D'Or Award and a César Award nomination for Best Actor. The film's success spawned a sequel, OSS 117: Lost in Rio. In 2007, directed by Jan Kounen, he starred in the film 99F (99 francs), a very successful existential parody of an advertising exec, adapted from the eponymous best-seller written by Frédéric Beigbeder. This same year, he ventured in drama for the first time on the silver screen, playing a tortured father and cop in Franck Mancuso's Contre-enquête. In 2009, he appeared in A Man and His Dog alongside screen legend Jean-Paul Belmondo, with whom he has often been compared. In 2010, he starred alongside Albert Dupontel, playing his character's cancer in The Clink of Ice, a French black comedy written and directed by Bertrand Blier. In 2011, Dujardin starred as movie star George Valentin in the silent film The Artist, reuniting him with OSS 117: Cairo, Nest of Spies director Michel Hazanavicius and his co-star in that film, Bérénice Bejo. The film premiered at the 2011 Cannes Film Festival, where he received the Best Actor Award. His performance garnered much critical acclaim and he received numerous nominations, including the Broadcast Film Critics Association Award for Best Actor and the Screen Actors Guild for Best Actor. On 15 January 2012, Dujardin won a Golden Globe Award for Best Actor – Motion Picture Musical or Comedy. He later went on to win the Screen Actors Guild for Best Actor, and the BAFTA for Best Actor. He was also nominated for the César award of the best actor but lost it to Omar Sy for his role in the second most ever viewed movie in France Intouchables. Dujardin went on to win the Best Actor award at the 84th Academy Awards. In effect he is the fourth French actor to be nominated for an Oscar and the first to win the Best Actor. Following his Oscar nomination for his role in The Artist, WME agency signed the actor. French film historian Tim Palmer has analyzed Dujardin's career and rise to success in France, noting how his formative roles were often unredeemable buffoons, very skillful portrayals of childlike men who aggressively and unabashedly reject the responsibilities and compromises of adult life. Dujardin's breakthrough roles as Brice de Nice and OSS 117 exemplified this tendency. In February 2012, Dujardin appeared in Les Infidèles with co-star and friend Gilles Lellouche. He was invited to join the Academy of Motion Picture Arts and Sciences in June 2012 along with 175 other individuals. In 2013, Dujardin starred in Éric Rochant's Möbius with Cécile de France and Tim Roth. His second film that year was Martin Scorsese's The Wolf of Wall Street, playing alongside Leonardo DiCaprio, Jonah Hill, Matthew McConaughey, and Kyle Chandler, among others. He appeared in The Monuments Men, directed by George Clooney, and co-starring Clooney, Matt Damon, and Cate Blanchett, and starred in the French film Le Petit Joueur. In late 2014, La French, was released in Europe and subsequently in the United States in early 2015. He plays a French police magistrate who tries to dismantle the French Connection and bring down the Unione Corse. Dujardin has been married three times and has three children. His first marriage, to a woman named Gaëlle, ended in 2003. They have two sons. In 2003, he started dating his on-screen partner Alexandra Lamy of the comedy series Un gars, une fille; the two had originally met at the audition, and fell in love while shooting the series. They married in Anduze on 25 July 2009. In November 2013, it was announced that the couple had separated. He married French ice dancer Nathalie Péchalat in May 2018. They had a child, Jeanne, in December, 2015. ^ "Alexandra Lamy et Jean Dujardin officiellement divorcés". Le Figaro. 25 December 2014. Retrieved 23 October 2016. ^ "Jean Dujardin: Biography, Latest News & Videos". TV Guide. Retrieved 20 January 2012. ^ a b c "Golden Globes: Jean Dujardin wins best actor in a comedy or musical". Los Angeles Times. Retrieved 20 January 2012. ^ "Jean Dujardin, un gars dans les étoiles". Retrieved 13 November 2013. ^ Kaufman, Amy (15 January 2012). "Golden Globes: Jean Dujardin wins best actor in a comedy or musical". Los Angeles Times. Retrieved 17 January 2012. ^ "The Artist Wins Big as Oscar Romances Past". Wall Street Journal. 27 February 2012. Retrieved 1 March 2012. ^ "Oscars: Live Report". AFP. 26 February 2012. Archived from the original on 1 March 2012. Retrieved 27 February 2012. ^ Jay A. Fernandez; Borys Kit (31 January 2012). "WME Signs 'The Artist' Actor Jean Dujardin (Exclusive)". The Hollywood Reporter. Retrieved 27 February 2012. ^ Goldberg, Matt (8 November 2011). "Jean Dujardin and Cecile de France to Star in Romantic Thriller MOBIUS". Collider. Retrieved 27 February 2012. ^ Miller, Daniel (14 June 2012). "Jean Dujardin in Talks to Join Martin Scorsese's 'The Wolf of Wall Street'". The Hollywood Reporter. Retrieved 19 July 2013. ^ "George Clooney's 'The Monuments Men' Eyeing Jean Dujardin (Exclusive)". The Wrap. 2 October 2012. Retrieved 19 July 2013. ^ "Jean Dujardin May Head Back to His Roots in 'Le Petit Joueur'". The Hollywood Reporter. 28 February 2012. Retrieved 19 July 2013. ^ "NATHALIE PECHALAT AND JEAN DUJARDIN HAVE A BABY GIRL". ^ a b c "Jean Dujardin >récompenses et nominations". AlloCiné. Retrieved 27 February 2012. ^ "NRJ Ciné Awards 2006". AlloCiné. Retrieved 27 February 2012. ^ a b "Raimu de la Comédie – Palmares". Prixraimudelacomedie.fr. Archived from the original on 12 November 2008. Retrieved 27 February 2012. ^ Ryan, Mike (12 February 2012). "SNL Scorecard: Zooey Deschanel Brings the Quirk". Huffington Post. Retrieved 12 February 2012. Wikimedia Commons has media related to Jean Dujardin. 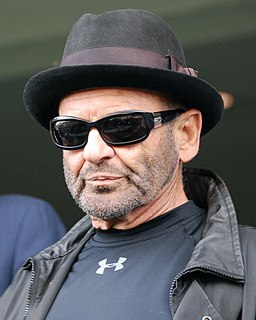 Joseph Frank Pesci is an American actor, comedian and singer. Known for portraying tough, volatile characters, in a variety of genres. 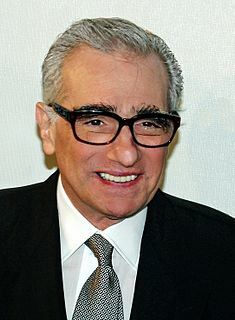 He is best known for his collaborations with Robert De Niro and Martin Scorsese in the films Raging Bull (1980), Goodfellas (1990), and Casino (1995) and the upcoming The Irishman (2019). He also appeared in Once Upon a Time in America (1984), Moonwalker (1988), JFK (1991), and A Bronx Tale (1993), and The Good Shepherd (2006). His comedy roles include such films as My Cousin Vinny (1992), Home Alone, Home Alone 2: Lost in New York, and the Lethal Weapon franchise. 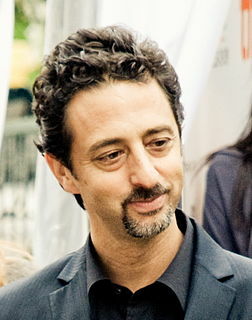 Óscar Isaac Hernández Estrada is a Guatemalan-born American actor. 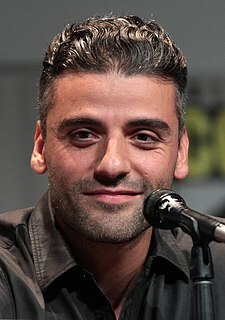 He has played lead film roles in the comedy-drama Inside Llewyn Davis (2013), for which he received a Golden Globe Award nomination, the crime drama A Most Violent Year (2014), and the science fiction thriller Ex Machina (2015). In 2006, he portrayed Saint Joseph, husband of Mary, in The Nativity Story. He also portrayed José Ramos-Horta, former president of East Timor and co-recipient of the 1996 Nobel Peace Prize, in the Australian film Balibo, for which he won the AACTA Award for Best Actor in a Supporting Role. Brice de Nice is a 2005 French comedy film directed by James Huth, written by Huth, Jean Dujardin, and Karine Angeli, and starring Dujardin. It is set in France, centering on the character Brice of Nice originally created by Dujardin for a stage sketch. A sequel to the film, Brice 3, was released on 19 October 2016. OSS 117: Cairo, Nest of Spies released in France as OSS 117 : Le Caire, nid d'espions, is a 2006 French spy comedy film directed and co-written by Michel Hazanavicius in his feature film debut. It stars Jean Dujardin, Bérénice Bejo, and Aure Atika. Set in 1955, the film follows the exploits of the French secret agent Hubert Bonisseur de La Bath / OSS 117, as he is sent to Cairo to investigate the disappearance of his best friend and fellow spy Jack Jefferson, only to stumble into a web of international intrigue. Bérénice Bejo is a French-Argentine actress best known for playing Christiana in A Knight's Tale (2001) and Peppy Miller in The Artist (2011). Her work in the latter received her a nomination for the Academy Award for Best Supporting Actress and won her the César Award for Best Actress. She won Best Actress at the Cannes Film Festival in 2013 and was nominated for a César for her performance in The Past. OSS 117: Lost in Rio released in France as OSS 117: Rio ne répond plus, is a 2009 French spy comedy film directed and co-written by Michel Hazanavicius. It is a sequel to Hazanavicius' OSS 117: Cairo, Nest of Spies, and see Jean Dujardin reprising his role as French secret agent Hubert Bonisseur de La Bath / OSS 117. Set in 1967, Lost in Rio sees OSS 117 sent to Brazil in order to retrieve a microfilm list of French Nazi sympathizers, only to once again unknowingly set foot into a bigger international intrigue. Michel Hazanavicius is a French film director, producer, screenwriter and film editor best known for his 2011 film, The Artist, which won the Academy Award for Best Picture at the 84th Academy Awards. It also won him the Academy Award for Best Director. He also directed spy film parodies OSS 117: Cairo, Nest of Spies (2006) and OSS 117: Lost in Rio (2009). 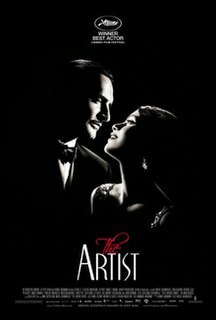 The Artist is a 2011 French comedy-drama film in the style of a black-and-white silent film. Written, directed, and co-edited by Michel Hazanavicius, and produced by Thomas Langmann, the film stars Jean Dujardin and Bérénice Bejo. The story takes place in Hollywood, between 1927 and 1932, and focuses on the relationship of an older silent film star and a rising young actress as silent cinema falls out of fashion and is replaced by the "talkies". The Artist is a 2011 French romantic comedy–drama film directed by Michel Hazanavicius, starring Jean Dujardin and Bérénice Bejo. The film is set in Hollywood between 1927 and 1932 and focuses on a declining film star (Dujardin) and a rising actress (Bejo), as silent cinema falls out of fashion and is replaced by the talkies. The film premiered at the 64th Cannes Film Festival on 15 May 2011, where Dujardin won the Best Actor Award. It was released in France on 12 October 2011. Following successful screenings at the Telluride Film Festival, the Toronto International Film Festival, and the New York Film Festival, The Artist was released on 23 November 2011 in the United States. The film earned a worldwide box office total of more than $133 million. Rotten Tomatoes, a review aggregator, surveyed 275 reviews and judged 97% to be positive. Alexandra Lamy is a French actress.